Recently the Australian Government listed several koala populations as “vulnerable”, giving them special protection. As a koala researcher and conservation planner, I am most impressed with Minister Burke’s decision. It demonstrates that the government has respected and acknowledged the substantial body of peer-reviewed scientific advice that was provided and concluded that the alarming decline in koala numbers in Queensland and New South Wales must be addressed at the highest level. Since the arrival of the European explorers, the relentless march of habitat destruction has put Australia’s unique biodiversity under increasing pressure. The koala has inhabited Australia – and nowhere else on the planet – for at least 20 million years. In that time, it has developed highly specialised habitat and dietary requirements and it is now in serious trouble. Issues surrounding the koala conservation crisis have progressed rapidly in recent years, as their numbers continue to decline. A group of concerned scientists established the Koala Research Network (KRN) as a place to collate cumulative research knowledge on the threats to the koala. 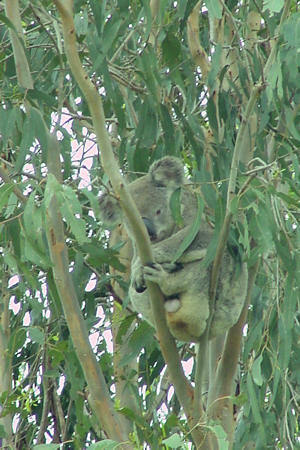 The KRN has grown rapidly to incorporate more than 70 koala researchers. This group of researchers provided key information to the Senate Inquiry in 2011, contributing towards Minister Burke’s significant decision to list koala populations in Queensland, New South Wales and the Australian Capital Territory asVulnerable under the Environment Protection and Biodiversity Conservation Act 1999 (EPBC Act). Projected climate change is likely to cause the koala’s range to contract significantly eastwards in Queensland and New South Wales. Koala populations have declined by an estimated 80% in southwest Queensland since the mid 1990s. Disease continues to be a key cause of koala death. The part-range listing (excluding Victorian and South Australian koala populations) is understandable in terms of meeting the criteria for a national listing. However, this does not mean that southern koala populations are secure. After being culled in the tens of thousands for the fur trade in the early 1900s, a few Victorian koalas were rescued and placed on islands. This strategy has proved problematic. Exhaustion of food resources and inbreeding are two key issues. Some of these koalas have been moved back to mainland South Australia and Victoria, where they face threats similar to those in Queensland and New South Wales. To save the koala from extinction in the wild, the challenge lies in implementing proactive and effective threat abatement actions, underpinned by a national Recovery Plan. In the states where they are now, thankfully, listed as vulnerable, these actions will have to address the multiple threats to koala populations from land-clearing (habitat loss), urbanisation, mining and coal seam gas, roads, dogs, disease and climate change. It is no small task. Saving the koala is not simply about political will. Everyday Australians are involved in the koala’s current precarious situation. For example, homeowners in new urban developments and tourism, forestry and mining interests sometimes occupy – and sometimes exploit – koala habitat. The engagement and cooperation of all will be an essential component of koala conservation planning actions. Participation can range from simple measures such as ensuring dogs are kept contained at night in “koala suburbs”, giving larger landholders financial incentives to restore koala habitat and protecting existing koala habitat through guidelines currently being prepared by the federal environment department. Researchers are clear on the threats to koalas and the key goal is straightforward; to continue important research and provide adequate, suitable connected habitat for koalas, including “climate change refugia” so that this iconic species has the best chance of long-term survival in the wild. This article was originally published in The Conversation on 1 May 2012. Wildlife Queensland calls for commitment to save Queensland’s koalas.